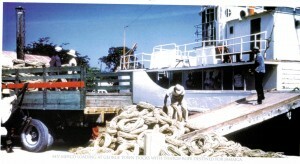 The rope industry in the Cayman Islands as far back as I can remember gos further back than in remember in 1946. There was an agreement between the Jamaican and Caymanian Governments to handle the transaction. 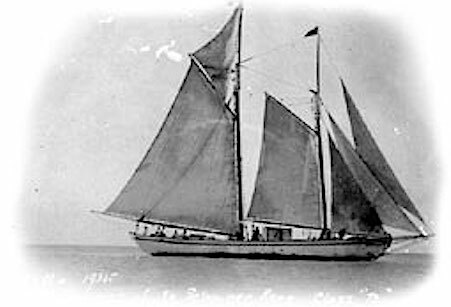 Cayman would supply the rope which was used by the Jamaican fishermen, in exchange for goods to be sent to Grand Cayman, such as sugar, flour, cornmeal and lard. Caymanians would make and supply the rope and sell it to the store keepers. Basically it was an exchange for food. The thatch was cut from a lot of the Websters Estates and transported by trucks or boat taken to West Bay for the rope production. The tops were cut, dried and stripped to plait. The heavy thatch was used for stuffing. The rope was laid or copped that consisted of a chart, 3 strands for the main chart down to the one winch chart. I took three people to lay the rope. After it was picked and splint, it was cutoff to stop injury to hands. The rope was measured in 25 and 50 fathom lengths. The merchants would buy it from the locals with 25 fathoms having a value of 3 shillings and 50 fathoms valued about 6 shillings.